Vitiligo is a type of skin disorder said to be linked to autoimmune disorders, and may also be due to genetics. In vitiligo, the skin will start developing white patches, which will initially appear only in some specific areas that are more exposed to the sun. The areas of the body where white patches commonly appear are the hands, legs, arms, lips, mouth, and face. This is more common in people who are between the ages of 10 and 30, and 50% of all cases occur before age 20. About 4% of the total world population suffers from this type of skin disorder. There is nothing to worry about, however, as it can be properly managed. The commonly used treatment for vitiligo are steroid creams, but they are quickly losing popularity as they are not as effective as earlier believed, and they are actually unable to repigment the skin. People are now turning to another more effective method for treating vitiligo, and this makes use of the versatile herb Ginkgo biloba. 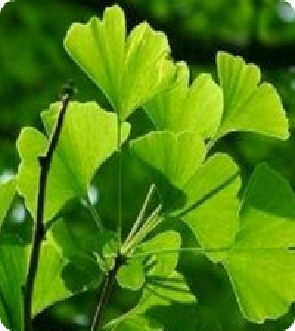 Ginkgo biloba is a powerful herb, with immunomodulatory and antioxidant properties. In one double-blind study, Ginkgo biloba extract was found to help halt the active progression of depigmentation, and equally important in the study was that the extract was well tolerated by the subjects in the study. This extract has also been found to improve blood circulation, which naturally affects the health of the skin. Free radicals damage the skin, and this is prevented by the substances in Ginkgo biloba. The use of Ginkgo biloba leads to blood thinning, so people who suffer from disorders that involve deficiencies in blood clotting should avoid using Ginkgo biloba. One of the advantages of Ginkgo biloba is that it is generally safe, and no adverse side effects have been reported from its use. What should be the dosage for oral Ginkgo biloba extract? A 60-mg dose should be taken twice a day and continued for 12 weeks. By following this regimen, expect to see a significant change in your skin color; those who have tried it reported a repigmentation of the skin and a control in the spread of the white patches. 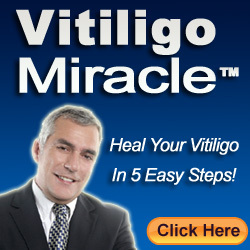 Using Ginkgo biloba regularly will help in inhibiting the spread of vitiligo. Due to its effectiveness in managing vitiligo, it is now being sold in more areas, and it can be purchased even without a prescription as well. People are also willing to buy Ginkgo biloba because of its fast reaction against vitiligo. However, it is still much better to only use Ginkgo biloba under the supervision of a doctor, or if it is recommended by a dermatologist. This is because doctors will only prescribe its use after a thorough examination, and recommendation of its use will largely depend on your body condition. Proper care must be taken when using Ginkgo biloba or any other natural treatment, in that only the required amount must be used; although natural, these herbs should never be used excessively.